Sawasen 's traditional sweets are made with a taste just like our mothers used to make. We are committed to our heartfelt preparation methods, so that our customers, too, can enjoy that fresh-made taste. 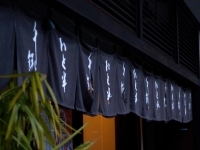 All of our sweets are homemade, from our skewered dango (balls of mochi) made with local rice, to our sake-infused manju buns, to our sweet sake, and more. 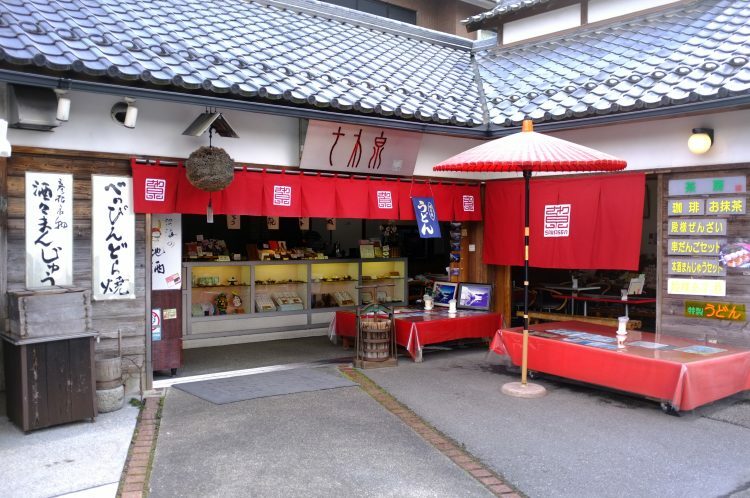 Take in the view of Hikone Castle, a National Treasure, from inside our shop while you enjoy the true deliciousness of traditional Japanese wagashi sweets. 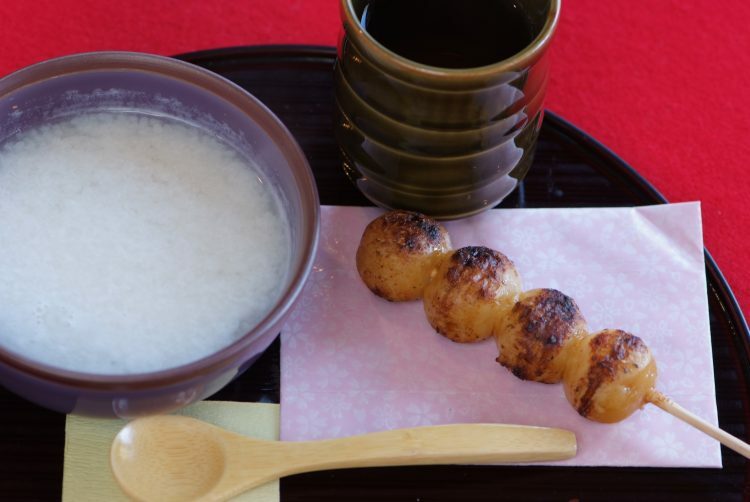 Our dango are prepared using 100% Hikone rice, pounded into mochi balls. 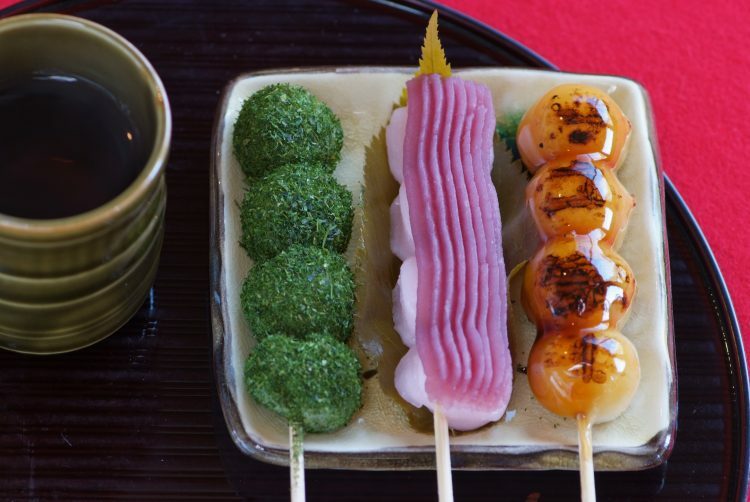 A set comes with three sticks of skewered dango and a cup of tea. The gentle sweetness of this amazake (sweet sake), made from malt, salt, and water, and the fragrance of the malt will warm you up heart and soul. The sweet sake set comes with dango flavored with soy sauce. 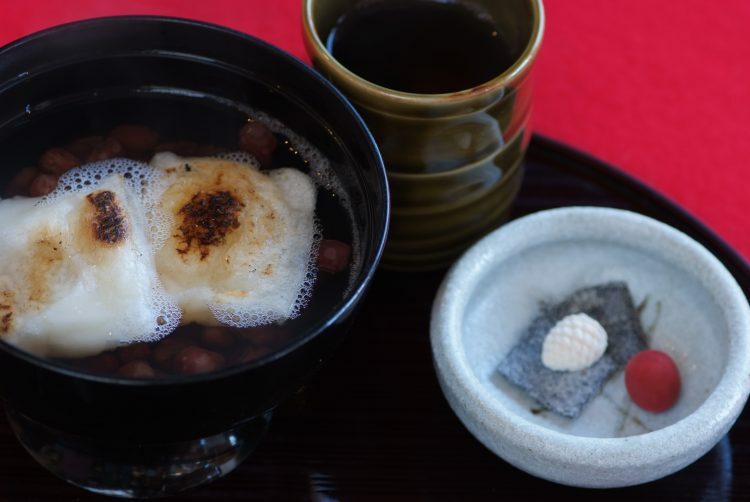 (Mochi in a soup of syrupy sweet red beans.) This dish is simply prepared with a light flavor, using double-layered mochi homemade from local Omi rice. 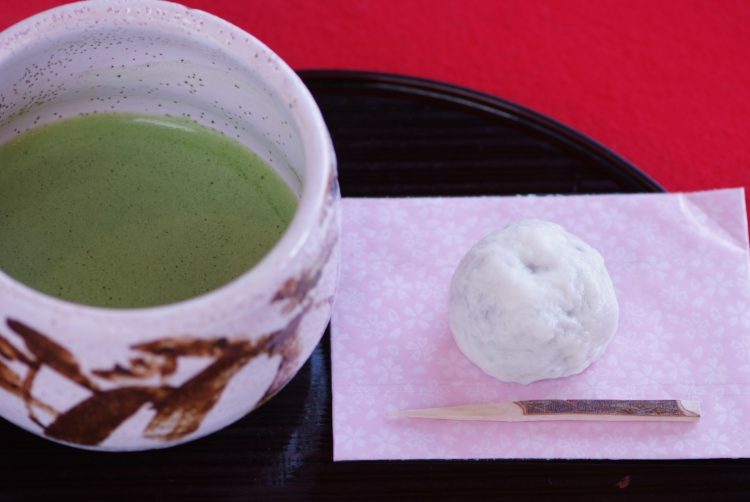 Enjoy your zenzai with small Japanese sugar sweets, to your liking. 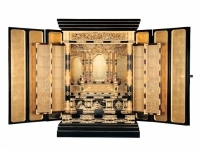 This set includes a cup of powdered matcha tea and a Japanese sweet of your choice. From 650 yen.